Eppo on the Knees for Billabong Circa 90′s. Eppo, Simon Ramsay and Macca chill out on Jason Ellis farm at Ballina on the Northcoast, NSW on a photo trip for Riptide in the early 90′s photo Strohy. 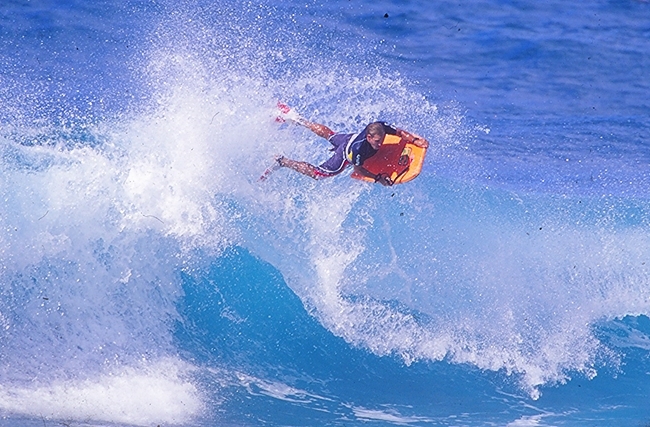 Back in 1993 a few months after Winning the World Title at Pipeline Eppo revealed 2 new moves that would etch his name in Bodyboarding history forever. First came The ARS followed closely by the Backflip below photo Bosko.